Stradbroke Island resident Hayley Layton is beginning her rewarding career in the disability sector, thanks to government funding preparing jobseekers with the right skills and experience for the NDIS workforce. 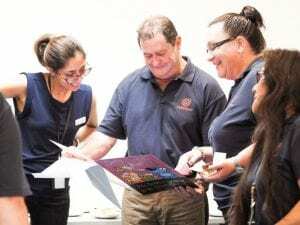 Myhorizon, are addressing the need for more skilled disability support workers in South East Qld by running regular Training courses for Certificate III in Individual Support (Disability) at our Capalaba Event Centre. As a current Myhorizon student, about to graduate and obtain her Cert III, Hayley is excited about starting her new career and getting to work with people from all walks of life. “I was a little hesitant to sign up for the course because I’d never worked in the disability sector before, but because I’m passionate about people, it made me want to do it.” Said Hayley. 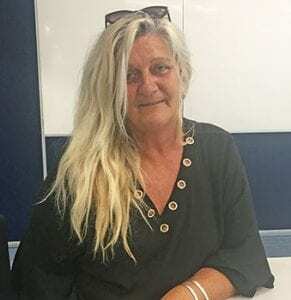 Hayley is a Florist by trade and also previously worked as a resort housekeeper supervisor on Stradbroke Island for many years, but after a workplace accident, she battled a period of unemployment and depression more recently. After meeting Anne Blakeway who manages Myhorizon’s Dunwich office, Hayley was encouraged to apply for the course and hasn’t looked back. “I told Anne what my interests and passions were and how I’d previously worked with the indigenous communities on the Island, and she helped me realise my love and passion for all people and how working in disability would be a great fit for me. “My training course leaders have been so great and supportive, and I’ve learnt so many new and real skills. I’ve loved every minute of it and can’t wait to start working in the sector.” Said Hayley. 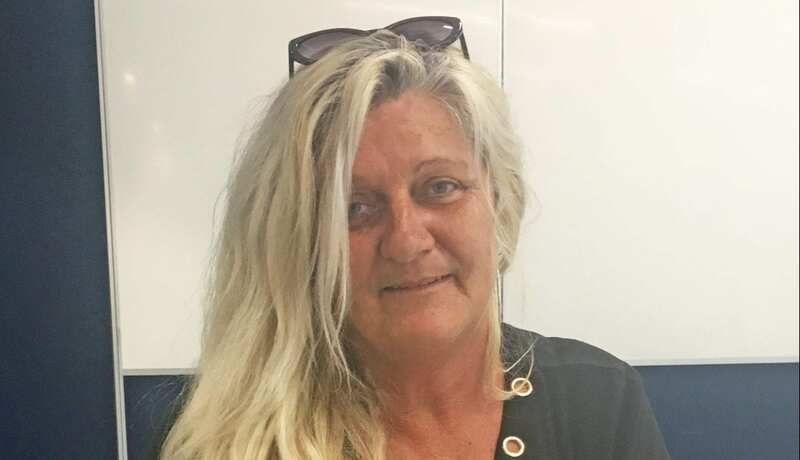 Myhorizon Training Manager Nikki Louange has supported dozens of students, having run the Certificate III course in Individual Support (Disability) for several years now thanks to ‘Skilling Queenslanders for Work’ (SQW) funding, granted by the Queensland State Government. “Our course is designed for participants who have had barriers with finding employment due to a disability, illness or injury. Over the years we’ve had many individuals complete the course and find meaningful jobs in the disability sector which has been life changing and so rewarding for them. “Quite a few graduates have even gained employment within Myhorizon’s Lifestyle service area as Disability Support Professionals” Says Nikki. Visit our Employment & Training page for more information, or contact us via our Online Contact Form. 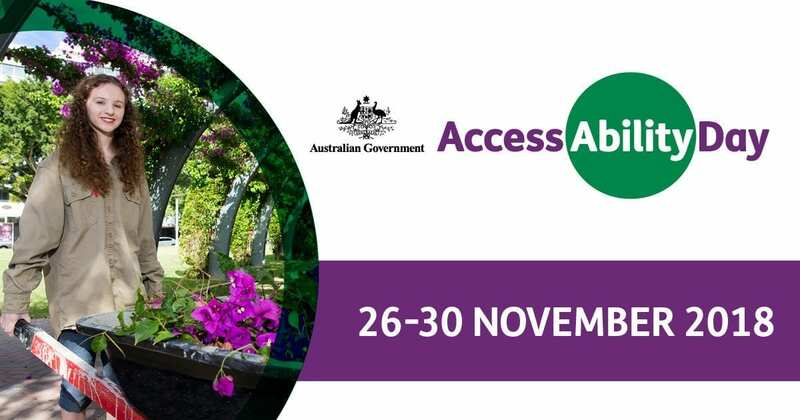 During the week of 26 – 30 November 2018, employers are encouraged to take part in Access Ability Day – a new Australian Government initiative developed to connect jobseekers with disability and employers. There are 2.2 million Australians living with disability who are of working age, but Australians with disability are under-represented in the workforce. In fact, the employment rate for people with disability is almost half compared to those without disability. Businesses in the local community have an opportunity to open their door to a new pool of talented and capable individuals, who are ready and willing to work. “With International Disability Day coming up in a few weeks, this is a great way to recognise and support individuals with a disability, and provide more job opportunities for them in our community”. Says Myhorizon’s Employment & Training Assistant Manager, Lima Nawabi. “So many of our clients are really eager to have a job, and really hard-working. 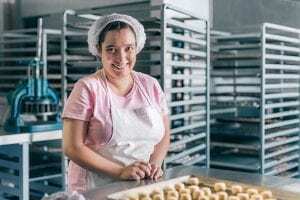 As part of Access Ability Day, employers can host a job seeker with disability for one day, with no further obligation and help promote a more inclusive workplace” says Lima. To register your interest as an Employer or as a Jobseeker, phone Myhorizon’s Employment and Training Service (a Disability Employment Service Provider) on 1300 MYHORIZON or contact us using our online form. To find out more about Myhorizon’s Employment and Training Service, click here. Gaining a new job and sense of responsibility has been life changing for Wynnum resident, Wayne Vanderswaag thanks to a positive and flexible workplace in our community. 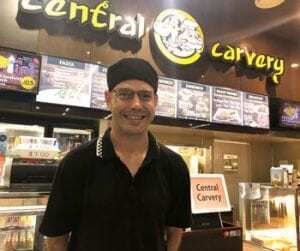 Wayne, a 33 year old with an intellectual disability, has experienced a hard life of homelessness and long-term unemployment, but recently turned his life around by securing regular employment with Capalaba Central Carvery almost four months ago. “My life was a mess and all over the shop. Every day I was going to the pub and getting drunk. My life was going around in circles and I knew I needed to get out of that lifestyle and get a job” Says Wayne. Wayne approached Myhorizon’s Employment and Training Office in Wynnum seeking some support to find a job that suited his abilities and one where he could make a positive contribution to a workplace. “My Employment Coordinator at Myhorizon supported me to get a job with Capalaba Central Carvery where I do the washing up in the kitchen, and help out where I’m needed. I’m now learning to budget better with my own money and just trying to be strong each day and enjoy life again. One day I’d even love to have my own 24 hour restaurant, cooking good food for people” Says Wayne. Claire Pruskocki, Wayne’s Employment Coordinator from Myhorizon Wynnum, has seen a significant and positive difference in Wayne’s attitude since starting his job at the Carvery. “Wayne has become a really reliable employee. He catches a train and a bus every day to his regular shifts and always turns up early. I’ve seen a huge improvement in Wayne’s overall attitude and also his presentation, and he has a much greater sense of self-worth which is so great to see.” Says Claire. “It’s about placing people in the right jobs with the right employers and providing them with ongoing on-the job support and training so they have the best chance for success” says Claire. Myhorizon are proud to be rated a 5 STAR service for our Disability Employment Services by the Australian Government Department of Jobs & Small Business. Learn more about Myhorizon’s Employment and Training Services. Real job opportunities are proving life changing for individuals with a disability thanks to flexible and positive workplaces in our local community. Jason Cooper and Ashley Chase are two great examples of this, both clients of Myhorizon’s Employment and Training service, and both working for Southside Toyota’s Service Departments. Jason has been working with Southside Toyota Mt Gravatt for six months where he eagerly gets in and does any job that’s asked of him including cleaning, organising the work benches, and being an all-round handyman for the entire team. “Before I got this job, I spent my days not doing too much. I feel like now my life has turned 180 degrees. I’m now very positive and would one day love to be an apprentice mechanic. I would jump at the chance”. Says Jason. Jason’s Manager, Brett MacDonald has also noticed the positive changes in him since he first started working at Southside Toyota.“Jason is now way more confident, he talks to more people, has opened up more, and the rest of the team here really like working with Jason because he puts in 100% effort in everything he does.” Says Brett. 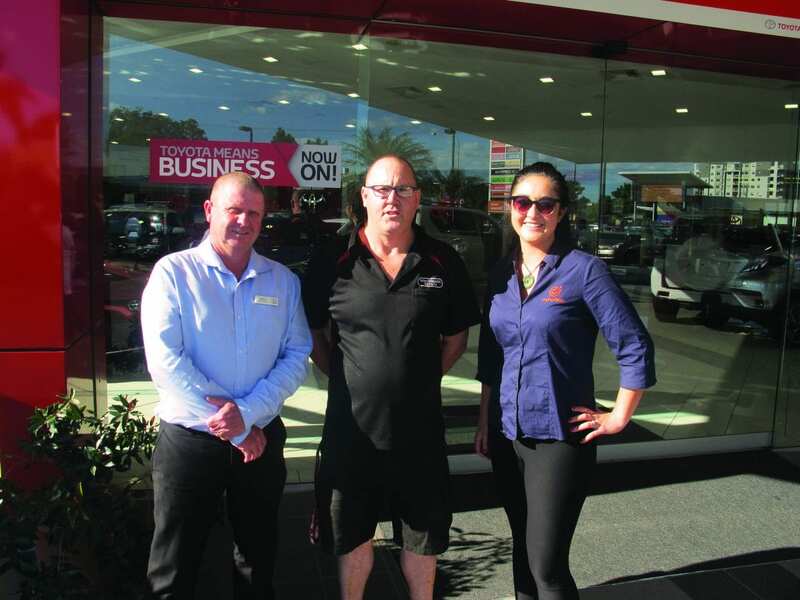 Ashley Chase, a Myhorizon client who is in a similar role at Southside Toyota Woolloongabba also talks fondly about his work environment. “I was very nervous and cautious when I first started. Now it’s easier and familiar and I’m learning new things about cars. I’ve become more confident” says Ashley. Ashley is also a participant of Myhorizon’s Lifestyle service where he receives assistance from a Disability Support Worker at his home a few days a week. After Ashley expressed a keen interest in working in the automotive industry, Myhorizon was able to work towards a new employment opportunity for Ashley. Delivering sustainable employment outcomes is at the heart of everything our Employment and Training team do at Myhorizon. “It’s about placing people in the right jobs with the right employers and providing them with ongoing on-the-job support and training so they have the best chance for success” says Jean Jensen, Employment & Training Manager at Myhorizon. “The management of Southside Toyota have always been accommodating of Ashley and Jason. Myhorizon appreciate their support in providing a positive and flexible workplace.” Says Jean. Myhorizon are proud to have recently been awarded 5 STARS for our Disability Employment Services by the Australian Government Department of Jobs & Small Business. Looking for a rewarding career in the disability sector? Our very own Jake Turcado from Myhorizon’s Lifestyle team tells you why it’s a great place to be right now. Delightful Myhorizon participant, Nick Kreutzer, has had his sights set on working in the hospitality industry for a while now, and has recently commenced working at Capalaba Sports Club. Going to work and helping the restaurant staff with a variety of different tasks is what Nick says he enjoys most within his new role, as well as learning new skills. He even says he would love to be the Manager one day. 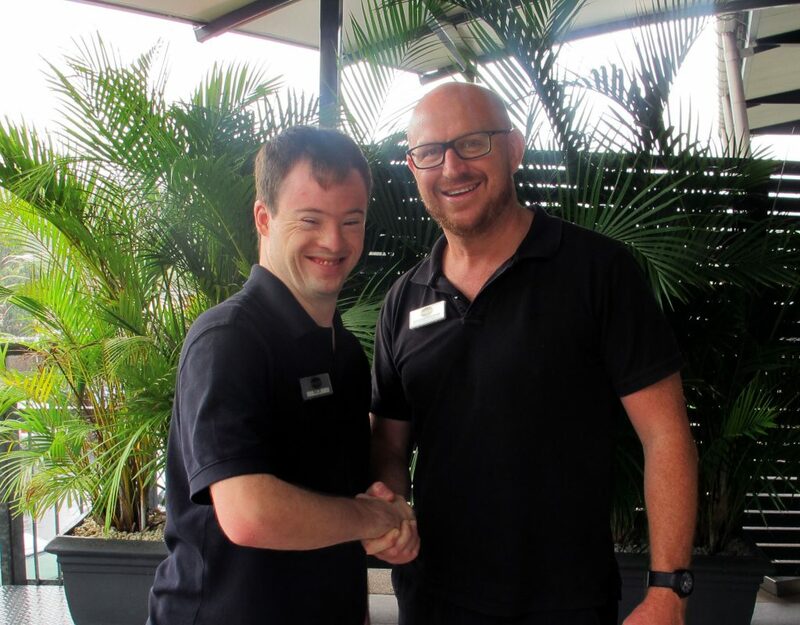 Nick’s supervisor at the Sports Club, Troy Morton, who also happens to be his Disability Support Professional at Myhorizon, has praised Nick’s proactive and enthusiastic approach to his new role at the Club. “Since Nick has been working at the club, he has improved his skills in listening, eye contact with people, and also his increased confidence, and the feedback I’ve had from Nick’s co-workers here at the club has been extremely positive” says Troy. The supportive team at the Club enjoy having Nick as part of the team and value his contribution and positive energy. The Capalaba Sports Club is known for its strong community spirit and has been providing support to the local community for over 30 years. The annual Redland City Australia Day Awards were held last night (Tuesday 23rd January 2018) at Alexandra Hills Hotel where Myhorizon were honoured as winners of the ‘Community Organisation Award’. 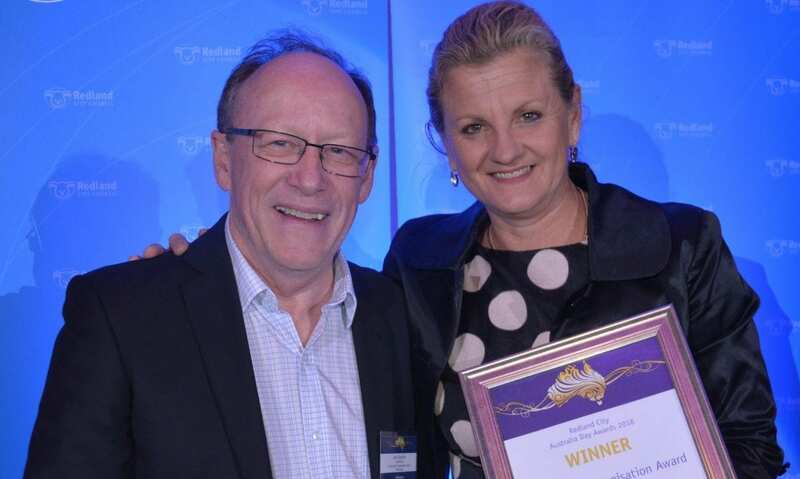 Each year Redland City Council recognises residents and community organisations through these awards where they acknowledge members and organisations in our community who have made outstanding contributions to promote the welfare and wellbeing in the Redlands. 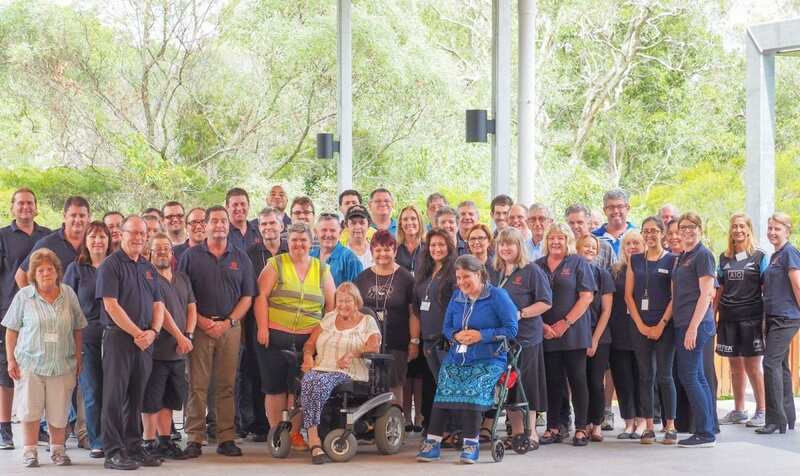 Myhorizon has been part of the Redlands Community since 1981 and today supports more than 2000 people with a disability, with a passionate and dedicated team of over 240 staff. 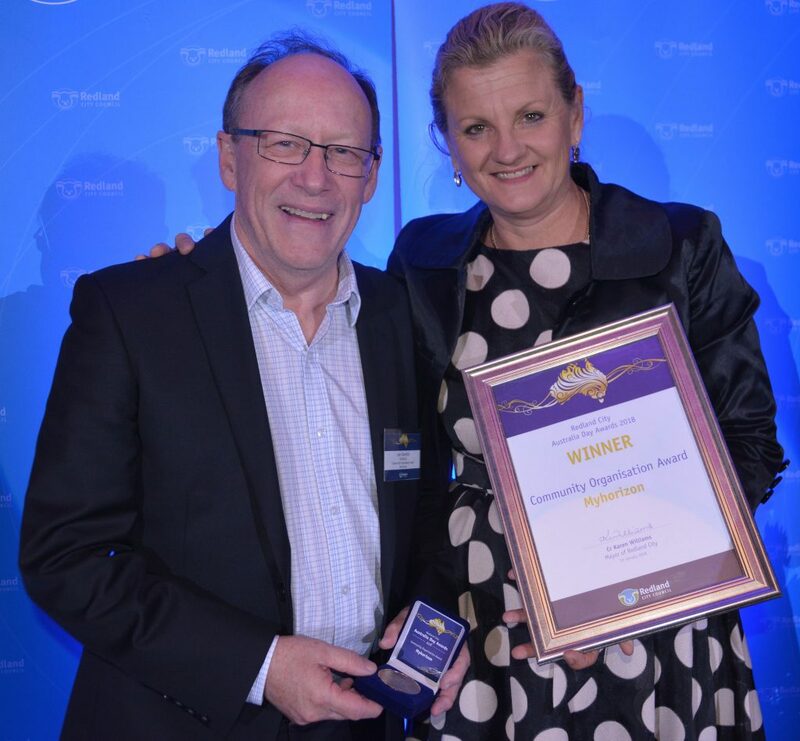 The prestigious award was graciously accepted by Myhorizon CEO, Joe Gamblin on behalf of the entire organisation. “This award is a wonderful recognition of the leadership at Myhorizon over many years and the contribution made by all the staff. 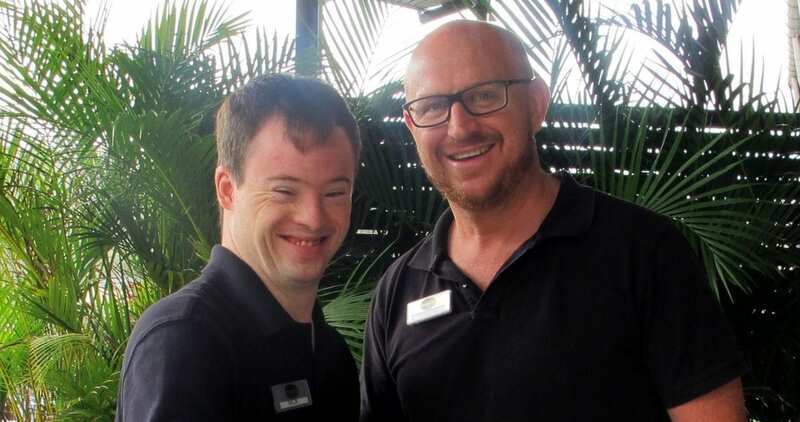 It is great for the organisation to be recognised in this way and it is a strong reflection of goodwill and acceptance of people with disability within the Redlands community.” said Joe. Myhorizon sincerely thanks the Redlands community and all who took the time to nominate the organisation for these awards, and congratulate all the other worthy nominees and winners on the night. Local disability services provider, Myhorizon, is pleased to announce the appointment of Dr Wayne Clarke as the new Chair of its Board of Directors. Dr Clarke joined the Board in March 2012 and has held the position of Vice President over the last 2 years, and recently succeeded Louise Dudley as President and Chairman. Victoria Knight, HBE employee at Myhorizon, and Dr Wayne Clarke, newly appointed President and Chair of the Board. Spending much of his early career as a Speech therapist, Dr Clarke has worked with people with disability for many years and completing a PhD in the speech of cerebral palsy children has given him a strong understanding of working with people with disability. Dr Clarke has also worked for a number of non-profit organisations in executive roles, more recently for the Victor Chang Cardiac Research Institute in Sydney, and Mental Illness Fellowship of Qld through which he has gained a strong sense of the importance of community values. 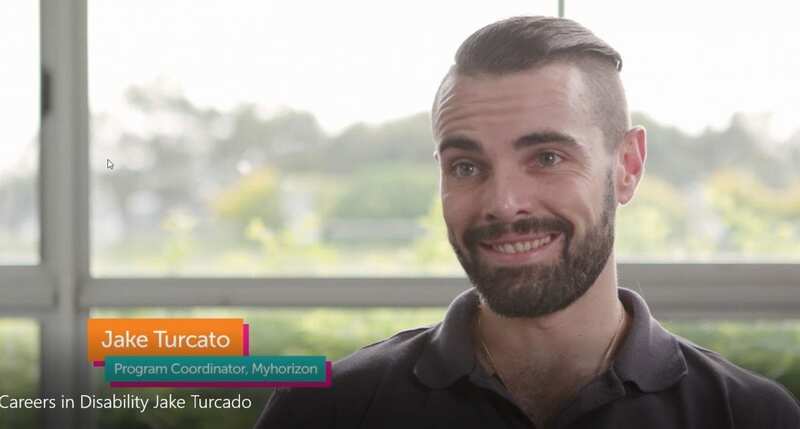 “My view of disability and the role of organisations like Myhorizon is to try and prevent the disabling aspects of disability so that people can grow and lead a positive life and look for education, employment and other services. “The wider community may not be aware just how many people there are with disability. We need to try to bring them out to be active members of our community and promote a general acceptance by everybody. They all need support in one way or another and as a community I believe we all have a responsibility to support them.” Said Dr Clarke. It’s a timely message leading up to International Day of People with Disability, celebrated on 3 December. This is a United Nations sanctioned day that promotes inclusivity and celebrates the achievements and contributions of people with disability. It is an opportunity for our community to make positive changes to the lives of 4.3 million Australians living with disability. A strong example of this year’s theme of empowering people with disability, is the collaboration and job ownership displayed by the HBE team at Myhorizon. Victoria Knight (pictured with Dr Wayne Clarke) is one of many employees who says she enjoys working at Myhorizon because she likes to come and get her jobs done and be with her friends. Myhorizon’s HBE employees work on a variety of mailing and packaging contracts for well-known businesses in the local area such as Sirromet Winery, as well as other businesses requiring similar services. 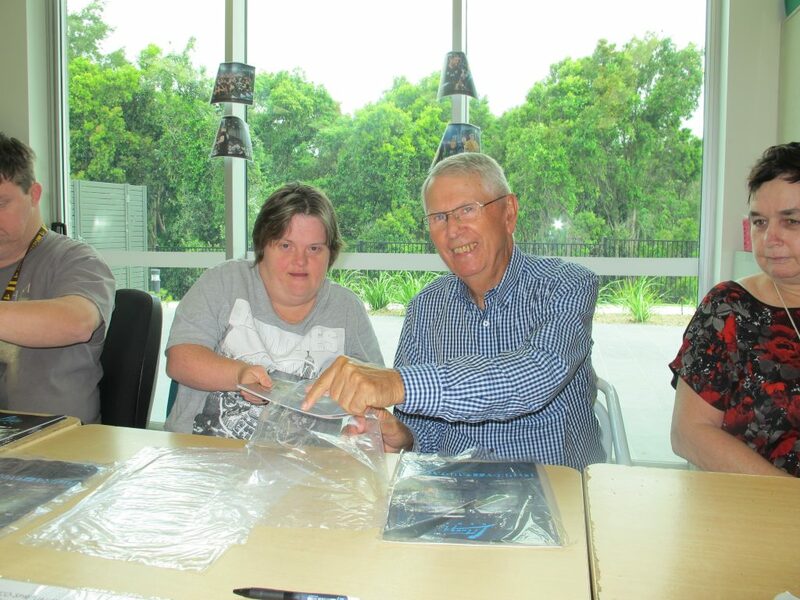 In addition to the mailing and packaging services offered by Myhorizon at their newly built Centre on Runnymede Road, Capalaba (next to Indigiscapes), they also provide a range of high quality services, all designed to support the ongoing needs of people with disability. “The investment that has been made in Myhorizon’s new facilities and services is not just about preparing for the launch of NDIS next year, but also about having a modern facility that can be used by everyone in the community. “You have members of the community coming in here, you’ve got people with disabilities helping in the café, and providing services back into the community. The fact that there is a facility that can provide you a good cup of coffee and you know in doing that you are supporting the community effort, really is important.” Said Dr Clarke. For more information on Myhorizon’s full range of services, click here. Myhorizon proudly celebrates the official Grand Opening of their brand new purpose-built facility in the heart of Redland City. From L-R: Raymond Walker; CEO of Myhorizon Joe Gamblin; Redland Council Mayor Karen Williams, His Excellency the Honourable Paul de Jersey AC, the Governor of Queensland; Vice President of Myhorizon Louise Dudley with the official plaque presented to Myhorizon Community Centre. 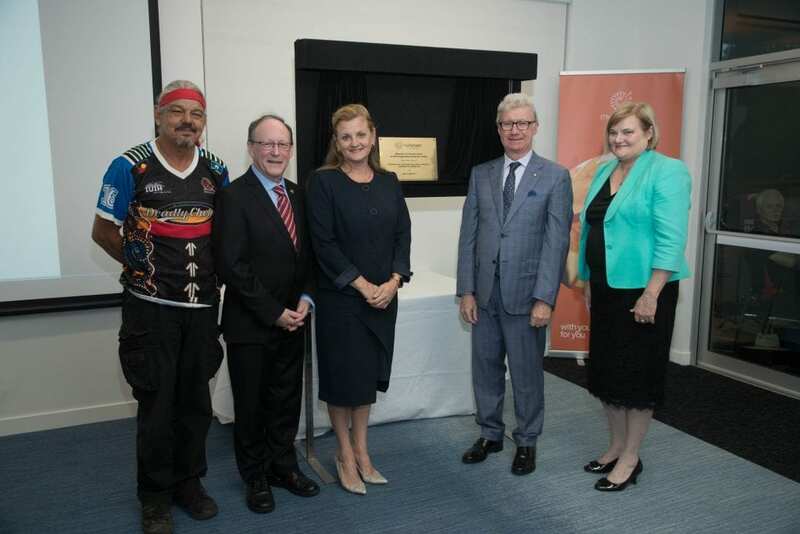 It has been a rewarding journey for Myhorizon to proudly fulfil a community vision after many years, with the opening of their state-of-the-art Community Centre. The event was held on Friday 20 October 2017 at Capalaba, where His Excellency the Honourable Paul de Jersey AC, Governor of Queensland, officially opened the impressive new facility. Redland City Council Mayor Karen Williams also attended and spoke at the event, and was joined by approximately 200 attendees including local council representatives, government members, and Myhorizon clients and staff. 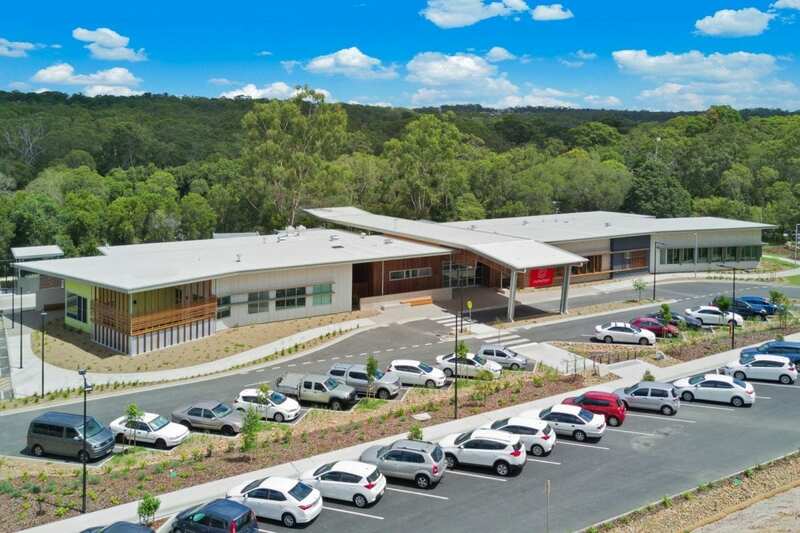 The multi-million dollar flagship centre on Runnymede Road, next to Indigiscapes, boasts a range of high quality services and purpose built facilities, all designed to support the ongoing needs of people with disabilities in the local community. CEO of Myhorizon, Joe Gamblin thanked those in the community that supported and contributed to the magnificent community facility, including Redland City Council, Ian McDougall Trust and Redland Foundation. “What we’ve created has made a real difference to the lives of hundreds of people with disabilities. It has been so rewarding to be able to build on the hard work of our founders and grow the organisation to where it is today, supporting thousands of clients across the state, with the help of so many wonderful people. This ceremony is a wonderful celebration of this rich history and the important work Myhorizon undertakes in the local and wider community” said Mr Gamblin. Mayor Karen Williams also spoke to the values shared between Myhorizon and Redland City Council. “The Myhorizon community centre shows just what can be achieved when the community comes together, shares a common vision, and gets down and makes it happen. It’s an important, productive and valued community asset and is a true reflection of Myhorizon’s commitment to continuing its important work in the region and council’s support of such services” said Mayor Williams. Myhorizon employs over 240 passionate staff members across 11 different centres (located from Wynnum through to Tweed Heads). “Our amazing team actively works with 2000 people with disability, from the earliest stages of life through to adulthood” said Mr Gamblin. Myhorizon’s specialty service areas include Support Coordination, Plan Management, Independent Living, Lifestyle services, Employment & Training and Social Enterprises, as well as Early Intervention services operating out of the new Ian McDougall Centre within the same new facility. This was named after the late Redlands philanthropist whose trust has supported a range of local causes. The Ian McDougall Trust made a $450,000 donation to the early Intervention Centre which is a fantastic place tailoring support to meet the needs of children with disability. The new centre also doubles as an entertainment venue for public hire with modern event spaces and meeting rooms perfect for corporate meetings, community events, and weddings. The centre’s new cafe The Bush Pantry is open to general public and offers great coffee, refreshments and light snacks, and takes advantage of the picturesque surroundings of Redlands’ Botanical Gardens. To speak to the friendly staff at Myhorizon and learn how our services can support you, call us on 1300 MYHORIZON today. “We will miss you John,” was a common sentiment expressed by all in attendance at the send-off for outgoing Myhorizon Employment & Training Service Manager John White last Thursday. During the morning tea event at Myhorizon’s new Capalaba Centre, CEO Joe Gamblin and Project Officer Lima Nawabi presented John with a number of gifts in front of more than 40 colleagues who had gathered to thank him for his leadership and dedication over the years. Some supported employees who work for Myhorizon’s disability enterprise HBE were so overcome with emotion at the news of John’s departure they were unable to speak for crying, such was the impact he had made on their lives. “It doesn’t take much to make a big difference to someone’s day,” John said. “It’s just taking the time to learn a little bit about someone to befriend them. Don’t focus on the disability; focus on the person”. He leaves enormous shoes to fill. Starting with Myhorizon’s Employment & Training service in May 1995 as a case manager, and then working his way up the ranks to the position of Service Manager, John has overseen the growth of the organisation’s Employment & Training division from a team of three to more than 40 staff members today. Despite constantly changing government departments, disability legislation, guidelines, and funding models, John has weathered all storms to maintain a high level of customer service and excellent client job outcomes at Myhorizon Employment & Training for more than 18 years as its leader. During this time he has led his team to empower thousands of people with disability to find fulfilling work throughout South East Queensland. John said he was motivated to stay with Myhorizon over the years because it had always been “a nice, friendly place to work with genuine people”. He said his team’s excellent performance was related to their genuine happiness in the workplace, which is the career achievement he is most proud of. “We have a good reputation – you earn that; you don’t just get that given to you. It takes hard work,” John said. “My team enjoys what they do, we have fun, and they are proud of where they work. We look after one another here,” he said. The happy and secure employment context John has facilitated for people of all abilities is reflected in the high retention rates of his staff and the excellent job outcome ratings of Myhorizon’s clients – Myhorizon Employment & Training has been awarded a five star quality rating by the Department. All good things must come to an end though, and John is now looking forward to the next chapter in his life on the Sunshine Coast where he is moving to for a lifestyle change. Jean Jensen will now step up to carry on John’s legacy in the service manager role. No doubt his management motto “you’re only as good as the staff under you” will continue to inspire Myhorizon employees long into the future. For more information about how Myhorizon’s Employment and Training service can support you please visit www.myhorizon.org.au or contact 1300 MYHORIZON.